On this part of the website you will find all the information you will require throughout your GP Training. 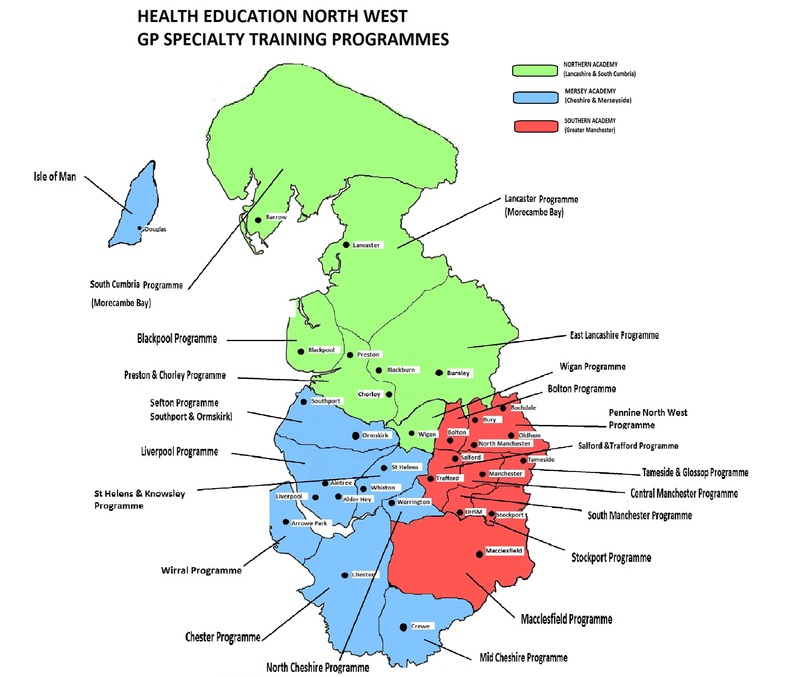 The GPST School is split into three Academies - North, South and Mersey. If you are not sure which academy you fall under please see the below map. Please make yourself familiar with what information is available by clicking on the tabs to the right. Please do not hesitate to contact a member of the GPST School should you require any further assistance.